It’s here. The end. Overall it was a good drama. I can’t say that it was a great adaptation of the original Russian novel since I have not read it, but regardless, it doesn’t change the fact that it was good. Some great acting and cinematography and a plot that actually managed to turn around and give me a surprise that I wasn’t expecting. That being said…the first 15 minutes of this episode…yeah. Not a fan of listening to one crazy man’s rant about delusions of grandeur and self importance and how he understands Isao’s true nature. We open with Suematsu saying that he did a wonderful job. Isao demands to know if it was the servant who really killed Bunzo. 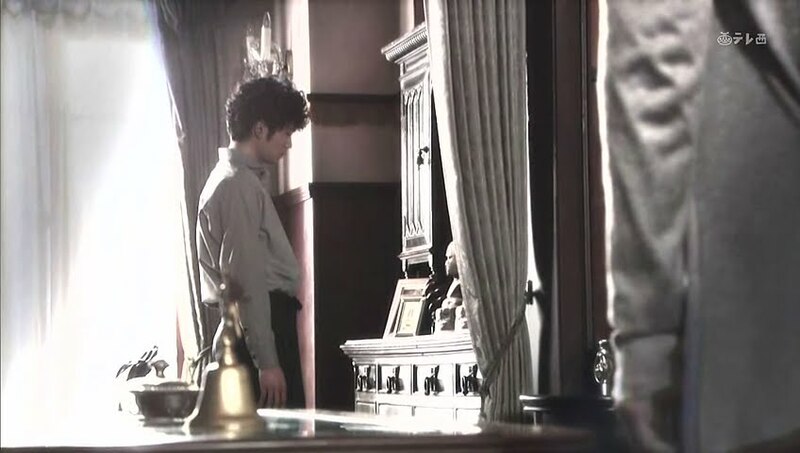 Suematsu comes closer and says that he was the only who could hear Isao’s crying thus everything he did was for “Isao nii-sama.” Suematsu then turns to look at Bunzo’s portrait and says that murder was “hitsuzen” (if I heard correctly that is). I already explained what this word means in my xxxHOLIC recap, so I won’t here, too. Suematsu says that he felt Bunzo was hopeless from their very first meeting. We then cut to the flashback of Bunzo throwing change at the young Suematsu. From that day on, the boy vowed revenge on him. We then cut to the day Suematsu started working in the Kurosawa household. Suematsu was livid that Bunzo didn’t even remember him. Bunzo just barely glanced at him and told the young man to make him delicious food and he continued mowing down on his ribs. Seeing Bunzo’s disgusting habits made Suematsu curse the blood that was flowing through his veins. Suematsu then says that the Kurosawa boys were no better than their depraved father. Mitsuru is good-for-nothing and Ryo can’t face reality. How is it that they can use the Kurosawa name, but Suematsu can’t? The young servant then turns and says that Isao saved him. Their first meeting left quite the impression. At first sight, Suematsu knew that Isao was the one who had the right to be his brother. Oy. This boy is severely screwed up, not doubt about it. Suematsu sees Isao has a strong man who isn’t influenced by others and who had the intelligence to use Bunzo. Wow. 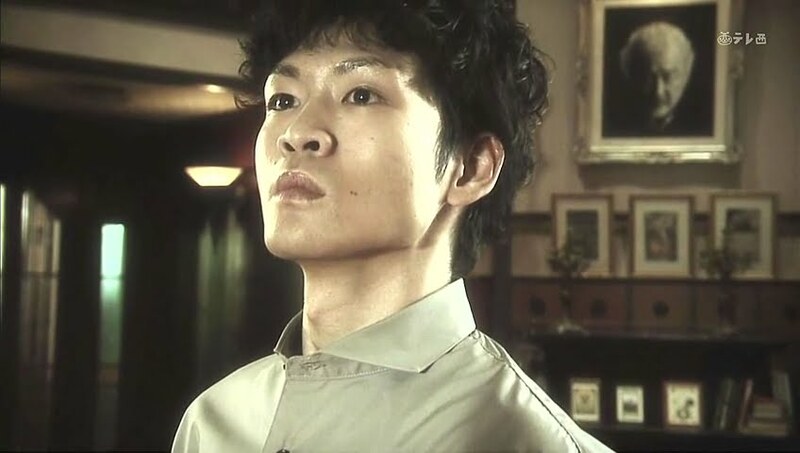 And he said Ryo ran from reality—he totally doesn’t have Isao pegged right at all. However, there was something that surprised Suematsu about Isao even more than the initial meeting. We then cut to Suematsu finding and reading Isao’s venomous manuscript. Reading it, Suematsu learnt that Isao and he had the same exact thoughts. That made Suematsu respect Isao more and come to the determination to kill Bunzo. Suematsu was happy to have found a “fellow.” What is he talking about? Suematsu says that after Isao left for Tokyo he was anxiously awaiting his return. Every time Isao came back, his murderous desire became stronger and stronger, thus Suematsu decided to put Isao’s words into effect. Isao explains that manuscript is merely fiction, but Suematsu smiles broadly and says that the manuscript is clearly Isao’s desires. Isao asserts that it isn’t. Suematsu tells him to stop hiding as it was their fate to kill “that man.” Suematsu was the doer and Isao was was the planner. They were a perfect team. Isao says that he did hate their father at times, but he would never have killed him. Of course, Suematsu doesn’t believe this as Isao has finally retained the freedom he has desired for so long. Mitsuru called after that and Suematsu thought that God himself was on his side. Yeah. This kid has some great delusions of grandeur. Suematsu lied to Mitsuru and then feigned food poisoning. When Mitsuru came, he hid in the shadows waiting for Mitsuru to kill Bunzo, but the eldest Kurosawa boy did not. That good-for-nothing Mitsuru could only to things part way. All he did was hit Bunzo and knock Oguri down the stairs. That is why Suematsu ended up being the one who “executed” Bunzo. To frame Mitsuru, he bludgeoned Bunzo with the statuette that Mitsuru played with. Needless to say, Bunzo had no idea why the young servant crazily beat him to death. Suematsu has successfully cut off the dirty blood. Didn’t he do a good job by ridding the world of that devil? 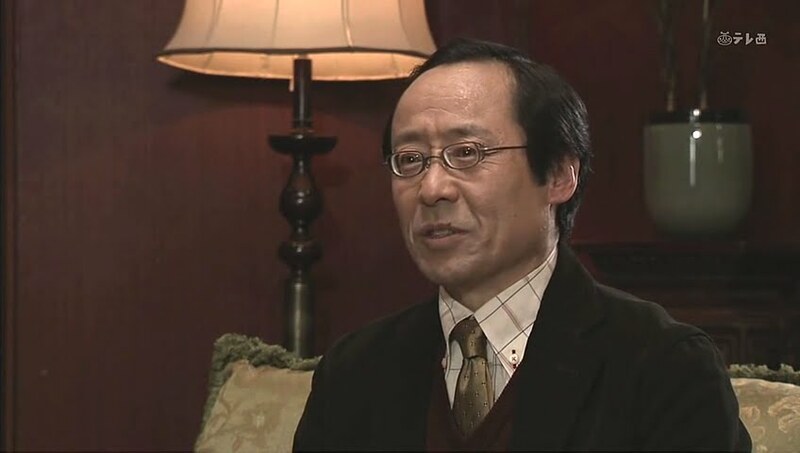 Isao replies that while Bunzo was not a good man, they themselves had no right to be the judge, jury, and executioner. Of course Suematsu doesn’t agree with that at all as he knew Isao thought the dirty blood grew vigorously and spread like poison unless Bunzo was killed. Suematsu smiles broadly again and says the murder deserves praise and not shame/blame. Isao stands firm in his belief that killing Bunzo was wrong. So they should have left that shameful father to commit more and more crimes? 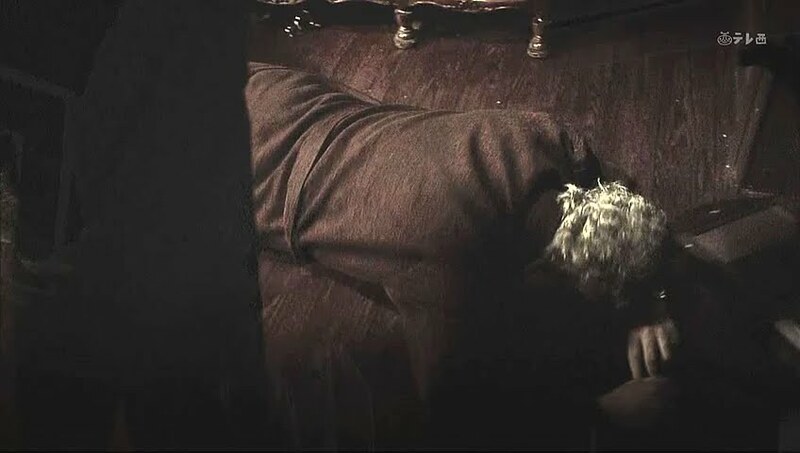 Be that as it may, a son should never kill his father. Suematsu doesn’t believe that to be true. A son has the reasonability to eliminate a shameful father. Isao keeps insisting that right doesn’t belong to them and Suematsu starts getting a bit angry. Now…I’m not saying Isao’s principles are wrong on any part. Yes, their father deserved punishment and even though the world is probably better off without him in it, it’s still wrong to take another’s life. My problem is that Isao is talking to a man who is obviously not all their in the sanity department and he’s making him mad. Good way to get yourself killed, you know? Suematsu accuses Isao of lying. Isao lost his will and was controlled by Bunzo. 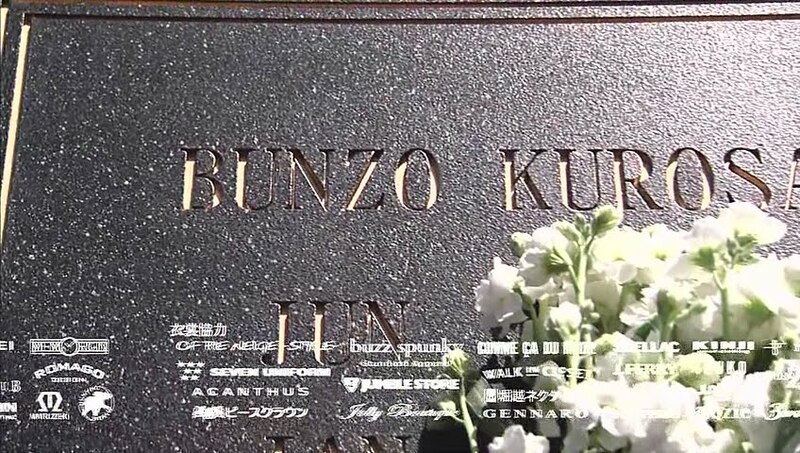 His mother died because of Bunzo. Suematsu also lost his mother because of Bunzo, thus the brothers are the same. Suematsu believes he could feel Isao’s humiliations that he was influenced by Bunzo just because Isao was Bunzo’s son. Bunzo acted big and did whatever he could to satisfy his own desires. That’s why Suematsu had to kill him and had to do such a disgusting thing, too. He stripped the dead Bunzo and dragged him to his bed where he laid him out like Jesus on the cross. He did that all for Isao. Suematsu then caresses his brother’s face. So creepy. Such a twisted, sick, misplaced love. Isao finally completely flips. He flings off Suematsu’s hand and puts distance between himself and his newfound half brother. Isao asserts that he hated Bunzo enough to kill him, but he wrote that manuscript to prevent himself from doing just that. Isao did not wish to become like his sadistic father by giving into that twisted hatred. He asserts that is what makes him different from Suematsu. Isao then crosses back to the younger man and gets up in his face. Suematsu should stop pretending to act like he understands Isao because he doesn’t at all. Isao struggled with his darker nature and desires and fought it while Suematsu gave in to it. 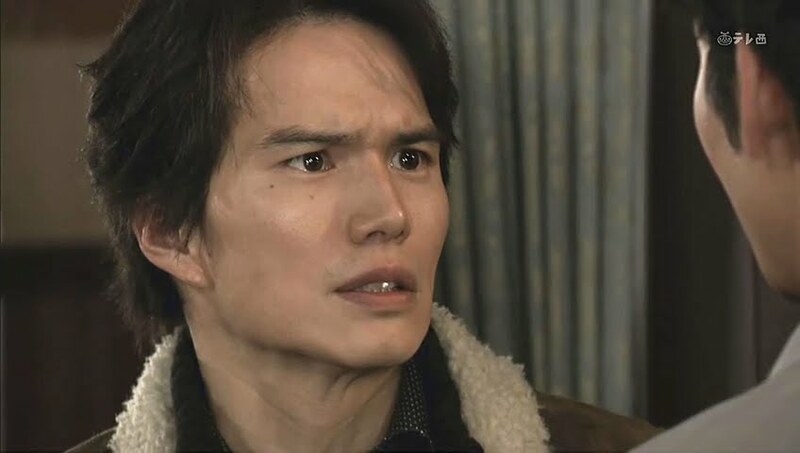 Suematsu brings up the fact that he is Isao’s brother since they share the same blood, but Isao dismisses this connection. Blood means nothing and doesn’t make Suematsu his brother (technically, they are “brothers” but in the sense Isao is talking about, love is thicker than blood). Isao then tells Suematsu that it was Mitsuru and Ryo who saved him when he was nearly crushed and drowning in his evil thoughts. Suematsu cannot understand why Isao likes his other brothers. Isao cannot explain it more than to say that he does love them and that he exists today only because of them. Suematsu cannot believe this. That can’t be true! Isao then apologizes if he ever misled Suematsu. This angers the younger man. He doesn’t want sympathy. He lunges at Isao and pins him down, strangling him. He wishes for Isao’s recognition and acceptance, but this is something Isao refuses to give. Suematsu cries as he squeezes his older brother’s throat and Isao cries as well. Meanwhile, Ryo and the two detectives arrive on the scene at long last. 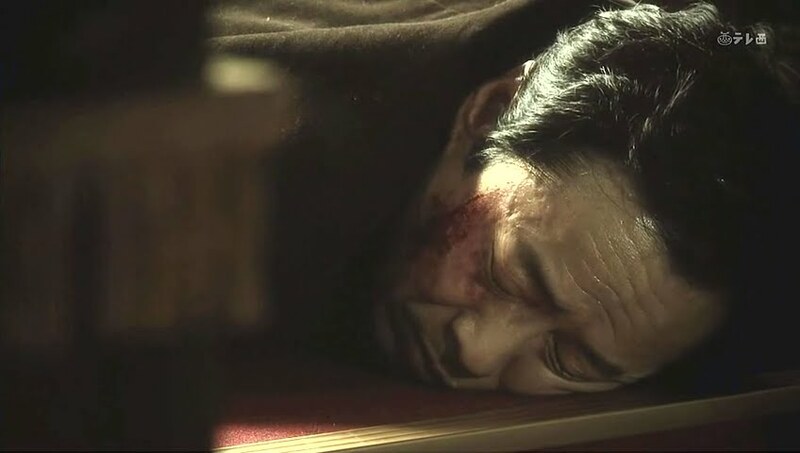 Ryo rushes in and finds Isao collapsed, but alive. Isao says it was all Suematsu’s doing and Irie puts out an ABP for him. Isao is walking along the beach when Ryo rushes up. He can’t stay put any longer. If Suematsu is found and confesses, that means Mitsuru will be exonerated right? That’s right. 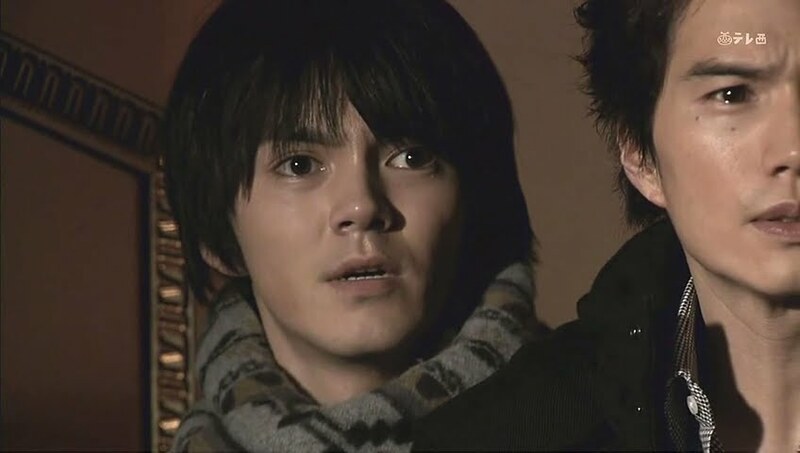 The two sit down on a fallen log and Isao tells Ryo that he finds it hard to believe that Suematsu is a killer. How so? Because Suematsu was crying and could not bring himself to kill Isao. Thus, Isao wishes to talk to Suematsu one more time. 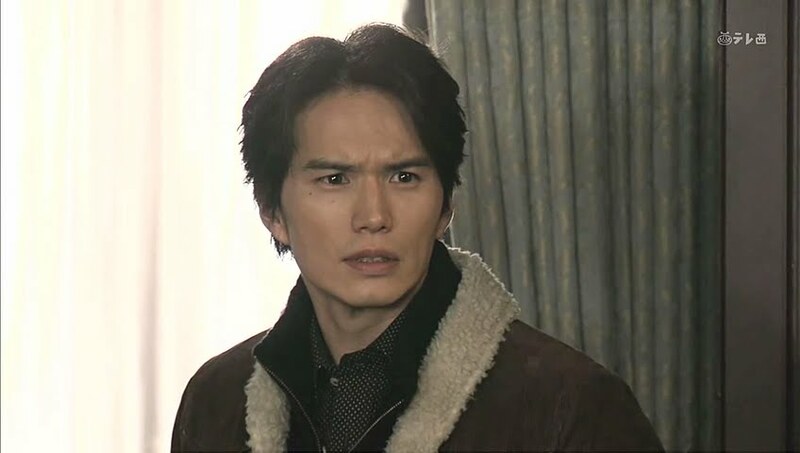 Ryo then asks if Isao knows about the wooden doll in the living room. Seems off topic, doesn’t it? 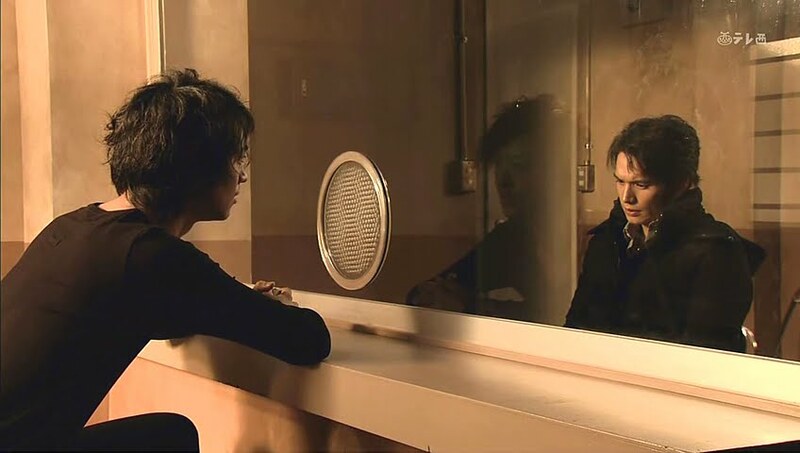 Isao replies that he does and Ryo confesses he saw Suematsu standing still and looking at it the other day. He was different than normal and looked lonely. The two Kurosawa boys return home to find Oguri. He holds up am apron and says that he found it there. Isao rushes upstairs followed by the other two. They pause outside a door. 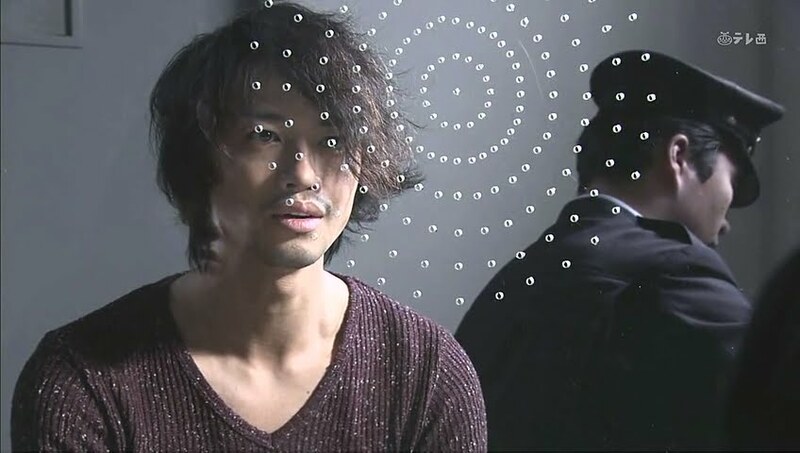 Isao hesitates, but slowly reaches out and opens it. When he does, there sits Suematsu in a chair with blood trickling down from the corner of his mouth. 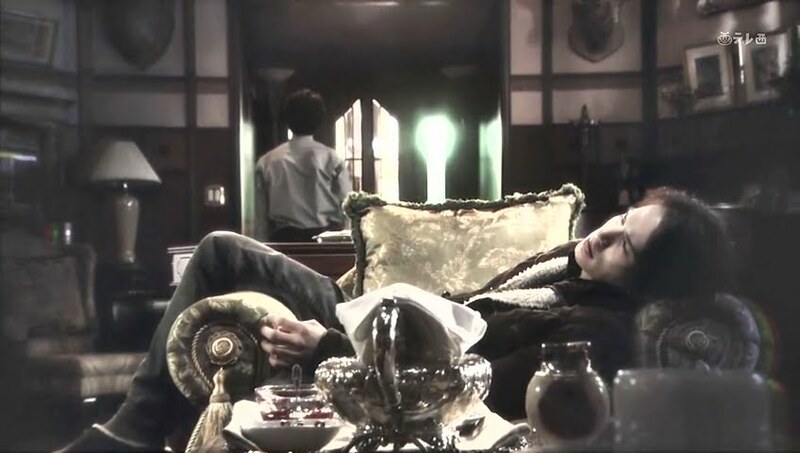 Oguri looks saddened and Isao collapses to his knees. So…I guess…Suematsu committed suicide by talking some type of poison. What a tragic end. 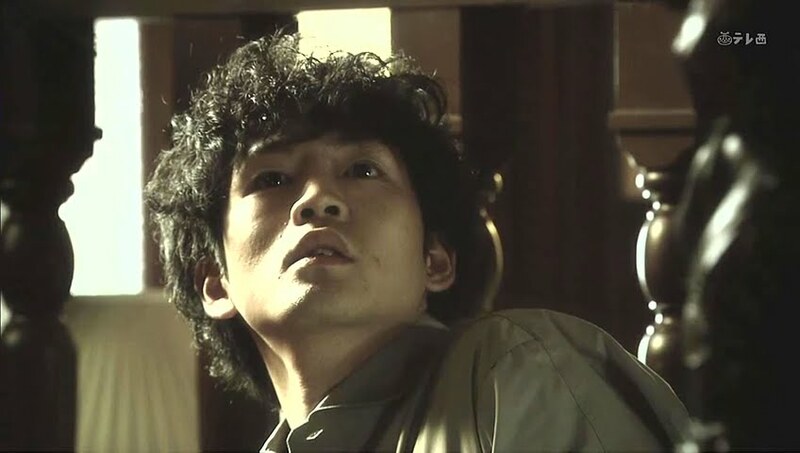 The police come to investigate when Isao gets a call that startles him. It turns out that Mitsuru was already prosecuted! They were too late in discovering the real culprit. 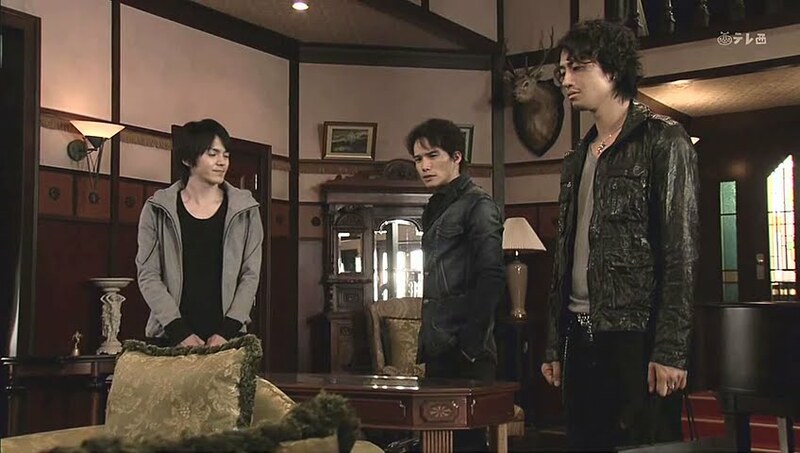 Isao goes to the jail and apologizes to Mitsuru saying it was all his fault. Mitsuru says that isn’t true. 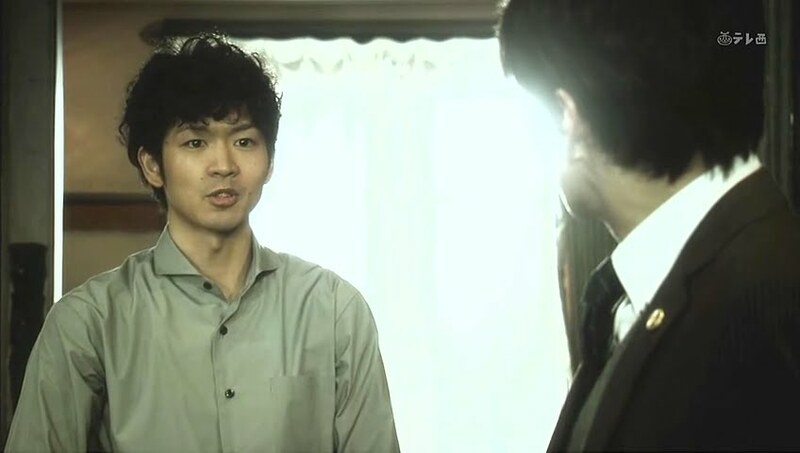 No matter what Suematsu told Isao, the middle brother should not feel guilty or blame himself. Mitsuru fights back tears and says he knows his little brother did all that he could. Mitsuru then confesses that he’s had a lot of time to think while being locked up. He is not a good person and was always trying to blame others. Even though he’s imprisoned for a crime he did not commit, it allowed him to truly know himself and to realize just how much love and support he has from his little brothers. That is enough to keep him strong and fighting. 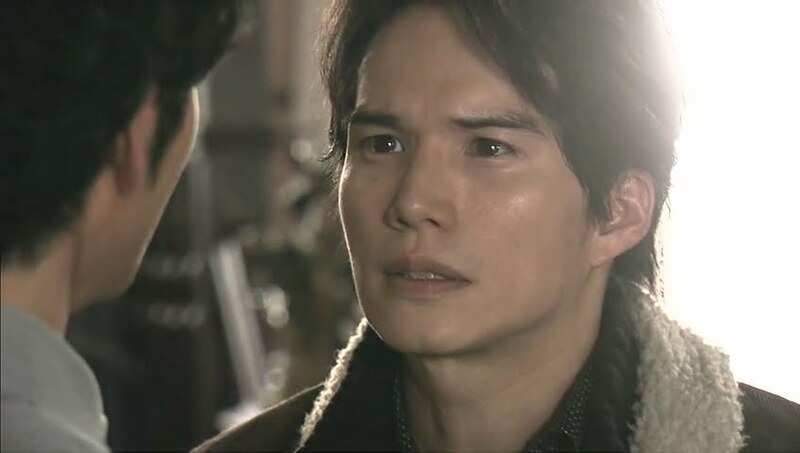 Isao tears up and promises to fight with Mitsuru to the end. 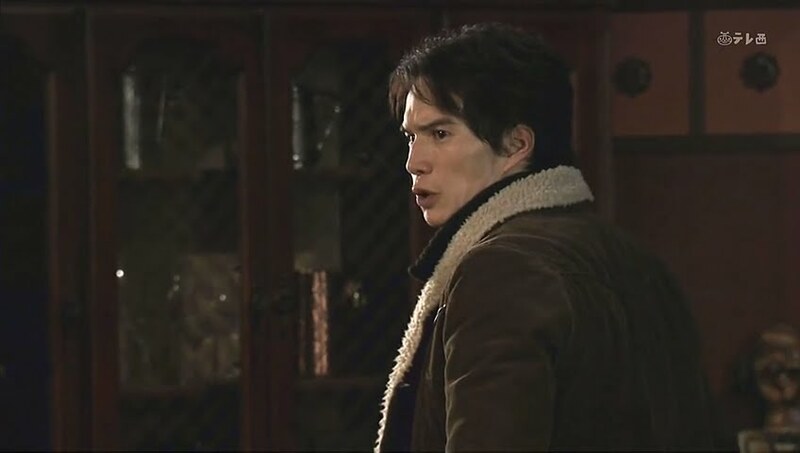 Mitsuru thanks him and Isao says that the police also will be investigating to prove Suematsu’s crime. Isao then asks what Mitsuru will do about Kurumi. 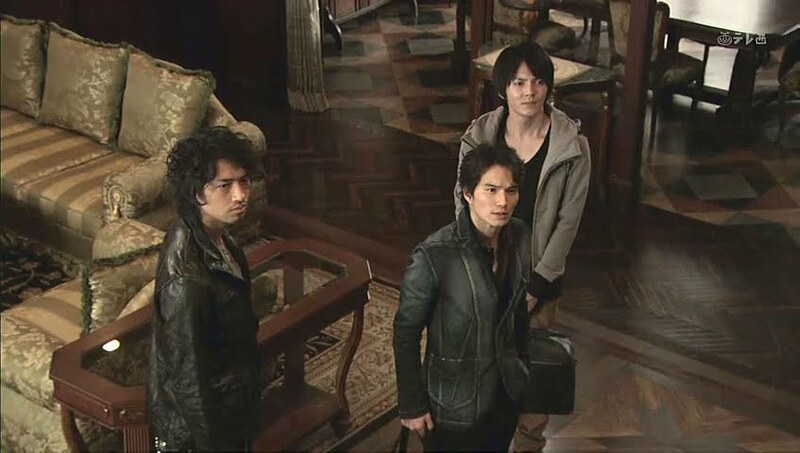 Mitsuru tells Isao to apologizes to Kurumi if he sees her. Isao smiles through his tears and replies that isn’t his job. Mitsuru smiles, too, and replies that is right. Kurumi finally visits the imprisoned Mitsuru. She asks after his health and he apologizes for asking her to come visit. He then apologizes for asking her to run away with him, thus getting her involved in this whole mess. 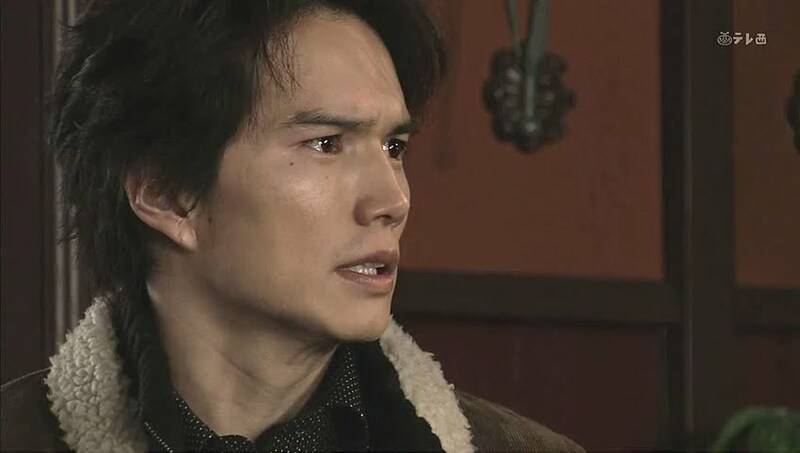 When he tells Kurumi to forget about him and care about her own happiness, she angrily interrupts. Didn’t he say he was going to save her from Hell? Mitsuru then says he may be a murderer thus it does her no good to be with him. Kurumi then says she has no idea why she wanted to go with him then, but now she understands her feelings. She believes in him. A touching scene. Mitsuru stands trial where a not guilty verdict is delivered. This relieves the Kurosawa brothers, Oguri, Kanako, and Kurumi. The first thing Mitsuru does is give Isao a tearful hug. Irie leaves the court room and is chased down by Isao who thanks Irie for reinvestigating and finding the evidence to set Mitsuru free. Irie responds that he cannot let an innocent man take the rap. He then leaves. I guess Irie isn’t all that bad. Suematsu did have the crime planned out excellently, but I still am not happy with how much Irie pressured Mitsuru when there truthfully wasn’t enough evidence to convict him as most of it was purely circumstantial. 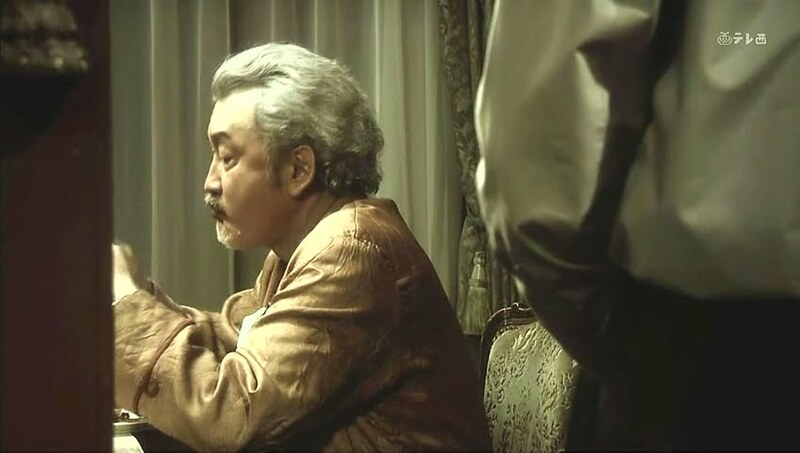 At the Kurosawa household, Oguri is overcome with guilt as he knew Suematsu the longest and had no idea about the younger man’s feelings. He apologizes and tenders his resignation, but neither Isao or Ryo will accept it. 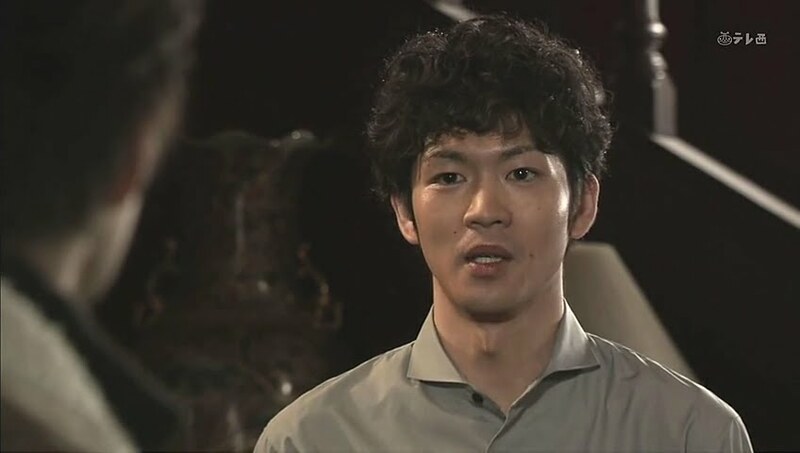 In fact, Ryo happily tells Oguri that they want him to handle the Kurosawa estate. They have high hopes that he will right all of their father’s wrongs, starting with the last case. 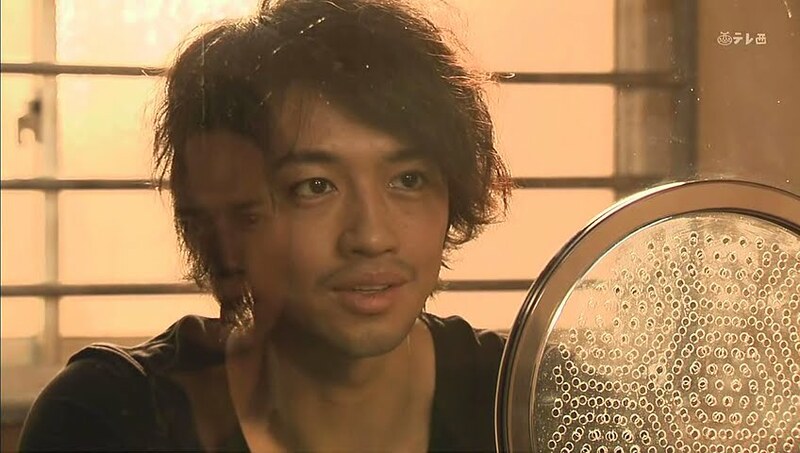 Oguri cannot believe their faith in him and he vows to do his best. Isao calls Kanako out to the beach and he apologizes for making her come to meet him. They caused her trouble, too. Isao asks how her new place is. Kanako smiles and says that it’s slowly becoming comfortable. Isao then asks if she will go with him to visit their university. This surprises her. Isao smiles broadly—didn’t she like a curry dish at the cafeteria? Kanako smiles in return and agrees to accompany him. Well…their relationship—if it does happen—will be slow to start, but I can kind of see them ending up together, especially now that Isao seems so much freer and happier. I mean it. It’s amazing as Ichihara portrayed such a heavy and dark character and now Isao is so light and…normal. Kudos. 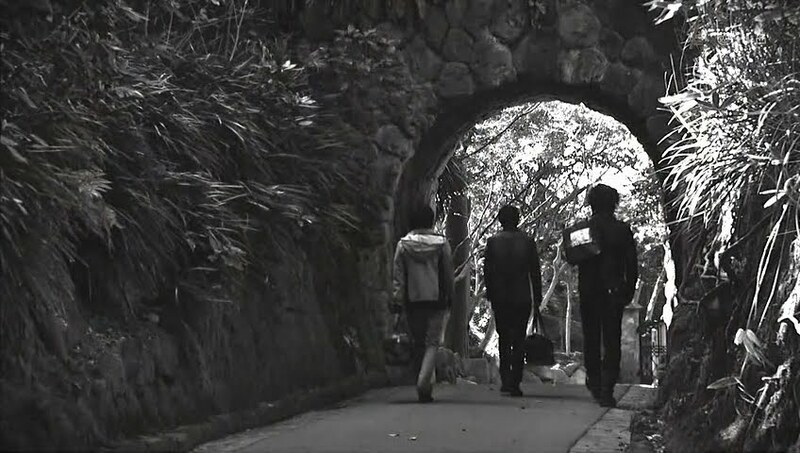 The three brothers have packed their things and are getting ready to leave the Kurosawa house behind. They pause and reflect a bit. A lot has happened in that house. Isao says that their lives from now on may be for finding the reason they were born into that house. Ryo agrees and Mitsuru says that be that as it may, they choose how they live their lives. Isao agrees with this as well and only wishes Suematsu had understood that fact earlier so that things would have turned out differently. Isao has been thinking and wondering why Suematsu couldn’t kill him. Also, Suematsu seemed obsessed with committing the perfect crime, but left his apron with evidence behind. Thus, Isao’s conclusion was that was the only way for the young servant to find out the meaning of life (I would amend that to say the meaning of his life and not life in general). 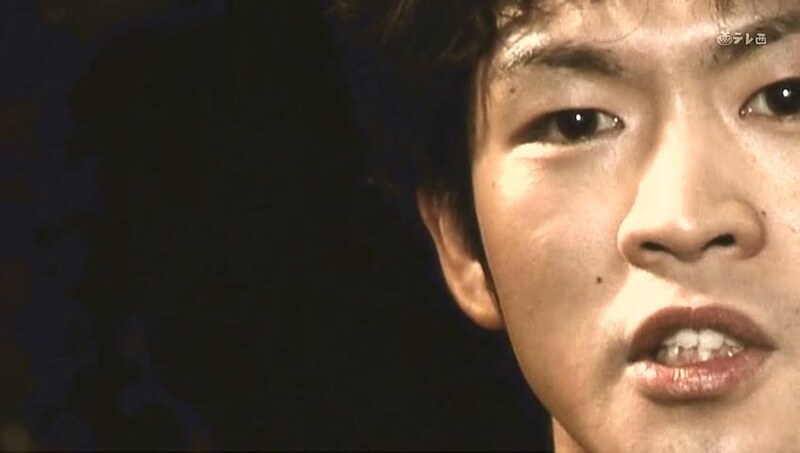 Ryo says there is only a slight difference between the brothers and Suematsu if they can’t face themselves. Mitsuru adds on that they may be tested as well. 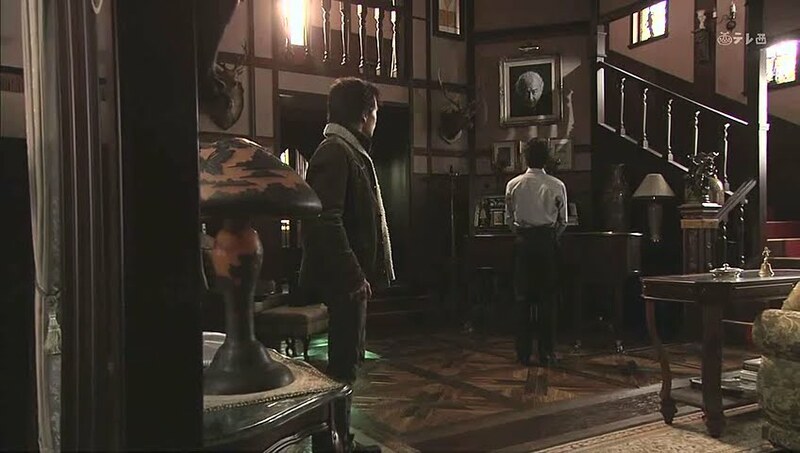 All three brothers turn to their father’s portrait and Isao says the need to start living more and leads the way out the door. 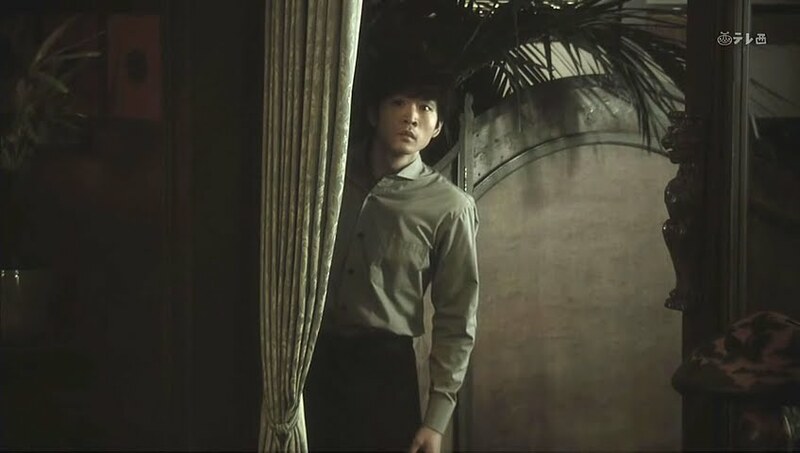 Ryo shuts off all the lights before closing the door on the Kurosawa mansion. We end with the brothers leaving the mansion behind for good. 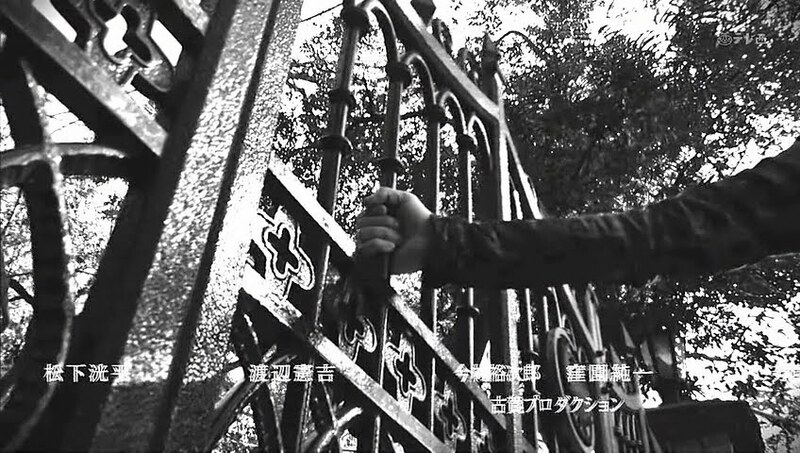 The closing of the gate is like a closing of that chapter of their lives. Gone is the black and white bleakness and we now have a brighter, more colorful future ahead. 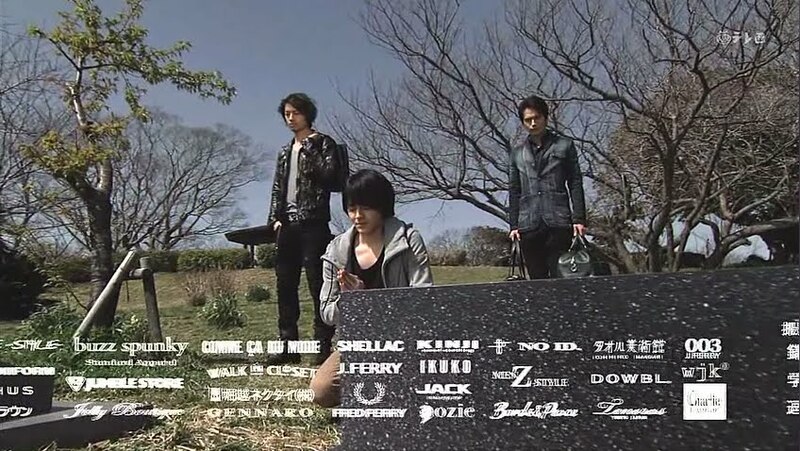 The boys do go to the graveyard and Ryo puts flowers on Bunzo’s grave. The three brothers then say their goodbyes. This is not a final goodbye. This is a parting of ways until they meet again. As endings go, at least they weren’t too preachy and philosophical at the end. I am a little sad that they didn’t stay together, but at the same time, they are all adults who should be leading their own lives.